An iconic heritage-listed building on the edge of Ipswich CBD is being offered for sale, providing the purchaser with a wide range of business or redevelopment opportunities. The City View Hotel, located at 277 Brisbane Street, Ipswich, is a well-known local landmark due to its distinctive two-storey octagonal tower at one end of the building. It was built in 1908 and designed by renowned local architect George Brockwell Gill, and spent much of its life as a hotel and pub, until the closure of the public bar in December 2014. The two-storey brick and concrete constructed building has since been used by the owners as a function venue and accommodation, with part of the upper floor also converted into a private residence. 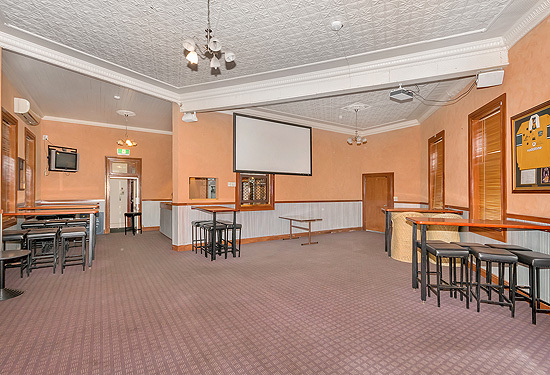 Ray White Commercial consultant Morrie Marsden says the property is in very good condition and remains a licensed premises, providing the purchaser with numerous opportunities for use (subject to council approval), including reopening as a pub, club or hotel, converting the downstairs portion into a restaurant, or even using the building as a retail space. “Its high profile location at the junction of a major intersection overlooking the main thoroughfare of the Ipswich CBD provides excellent exposure with high volumes of traffic passing daily,” he says. Marsden says the building still boasts the principal characteristics of a federation-era provincial hotel and includes a grand timber stairway with balustrade, pressed metal ceilings, stained glass windows and arched hallways. The property was added to the Queensland Heritage register on October 21, 1992. “This is a rare opportunity to purchase a slice of Ipswich history in the top of town precinct currently experiencing major development, including the new Bunning’s Hardware, Trampoline Centre, Circa 60 (a major refurbishment of the former Big White Furniture building), and proposed high-rise unit towers,” Marsden says. He says other heritage-listed buildings along the same street have recently sold for between $850,000 and $1.2 million. 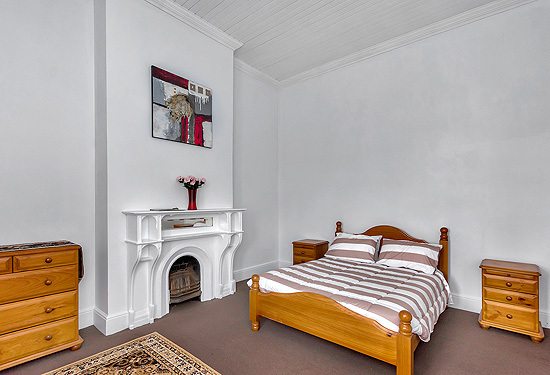 Situated on a 1444sqm block, the property has ample off street parking. The downstairs area consists of two function rooms with supporting bars, a large kitchen, bathroom facilities, store rooms and cold rooms all in working order, and a large undercover timber deck. Upstairs includes nine rooms currently used for accommodation and two others used as a manager’s residence, which includes a bathroom, kitchen and laundry facilities. The property is being marketed by Marsden and Les Svensson, with expressions of interest closing on Friday, September 18.